Lymphatic Drainage Therapy helps remove the congestion throughout the body. Your Lymphatic system has sometimes been referred to as the “information highway” because it creates vitality, beauty and prevents illness. Imagine a congested freeway; cars are bumper to bumper with nowhere to go because of an accident up ahead. Everything, everyone is at a standstill…..stuck in their position just waiting for help to arrive. Little do you know that help is there, only they (the emergency vehicles) are stuck behind you. There isn’t a clear path for them to get in and clear out the accident, to help the injured and restore the freeway to its optimal function, which is a clear roadway for you to get to where you need to be. Now apply this picture to your lymphatic system; your body knows how to protect, how to heal, how to function at its best. Your lymphatic system is a miraculous system designed to bring nutrients in and waste out, aid in cellular repair, to quickly and efficiently remove toxic material from your body and to mount the deadliest of attacks on foreign invaders. However, when congestion sets in, your body now becomes the above scene. The emergency vehicles, your infection-fighting and scavenging cells of your immune system are “stuck” and unable to move in and remove the threat. Your body becomes laden with toxins and becomes sluggish and tired. Unable to fight off simple cold and flu, fatigue, brain fog, headaches, weight gain and various addictions to caffeine, sugar and carbohydrates become the norm to get through the day. The cause of the congestion is varied from sedentary lifestyles, poor nutrition, constipation, environmental toxins, STRESS and poor management of emotions such as anger, resentment, hormonal imbalances, infection, scar tissue, etc. The simplest explanation of Lymphatic Therapy is to say that it helps the body to clear its informational highway so that the body and ALL of its systems including your immune and lymphatic system can function at their optimal level, thus producing optimal health. “The effect created by the light & sound vibration and flow of electrons as they are ionized through the transmission head cause a disassociation of the trapped proteins within the interstitium. Trapped proteins in the interstitium hold water and cause swelling and blockage as the thread like vessels swell beyond their capacity, and can no longer effectively pass along the lymph through its normal means of transport in the lymphatic system. Trapped proteins (not to be confused with nutrient proteins) are highly electrical in nature and when they are exposed to the discharging ions in the transmission head they become disassociated and release their bond between themselves then releasing the stagnate lymph. This allows the lymph vessels to release the excess blocked, stagnate or retained fluid and to flow out into its normal filtration and re-absorption channels. As you can see this frees up the immune system to do the job it was designed to do by removing the waste that has been bogging down the body and restoring health. The following is the complete content from Dr. Vodder website as we use this exact technique at our center. There is the complete overview for your review. MLD was developed by Dr. Emil and Estrid Vodder in the 1930’s following many years of research into the lymphatic system. They presented Manual Lymph Drainage therapy at an exhibition in Paris in 1936 to great acclaim and went on to teach their method in many countries throughout the world. With this unique method, the therapist moves the skin in a very light, pumping movements over the underlying tissues. These movements increase the contractions of the lymph vessels system, so increasing the absorption of excess fluid and waste products, whilst not increasing blood congestion to the area. Emil and Estrid Vodder worked closely with Gunther and Hildegard Wittlinger for many years to perfect the movements. Now Professor Hildegard Wittlinger continues to teach and promote the Dr. Vodder Method of MLD all over the world and at the Dr. Vodder School in Austria. The teachers and classes on this website are fully accredited teachers of the Dr. Vodder Schule. Many of the theories and observations of the effects of MLD have been investigated and papers have been published by the Vodders, Wittlinger, Földi, Mislin, Casley Smith and others. MLD sits comfortably in both the complementary and medical world. It is used in rehabilitation units, physiotherapy departments, lymphedema clinics and, massage and beauty salons. Lymphedema, especially on the body and the face, and on the limbs in conjunction with specialist bandaging, skin care, and exercises (Combined Decongestive Therapy). 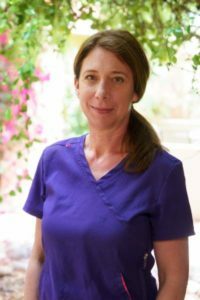 Originally from Mannheim, Germany, I received training as a medical assistant and completed 2,200 hours at the School for Physical Therapy and Massage Therapy. In addition, I was certified in Manual Lymph Drainage at the Foeldi Clinic in Hinterzarten, Germany. I further my training through the German Society of Lymphology attending workshops for wound care, lymphatic taping, axillary web syndrome, osteopathic fascia technique, deep oscillation, and compression garment fitting. 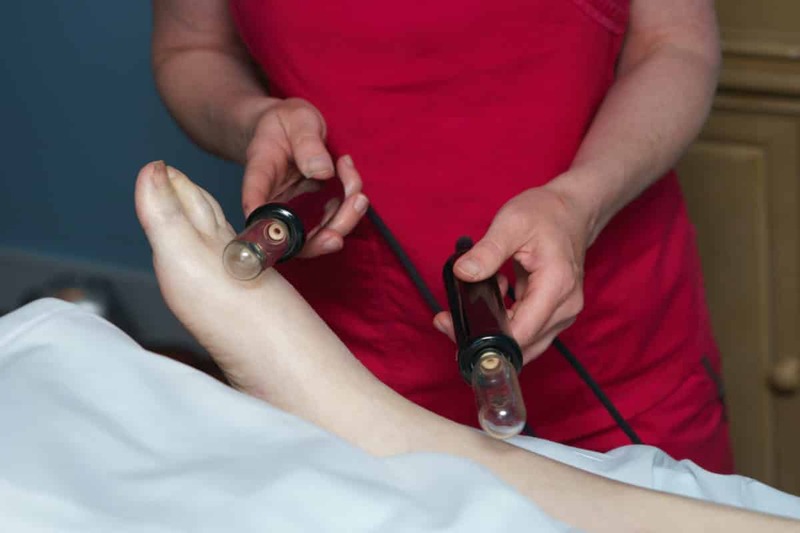 Before moving to Arizona, to become part of the team at An Oasis of Healing, I received the basic and advanced training in Electro- Lymphatic Drainage therapy.